"I like a bottle with a brain." It’s certainly an odd, maybe even blasphemous, thing to consider. 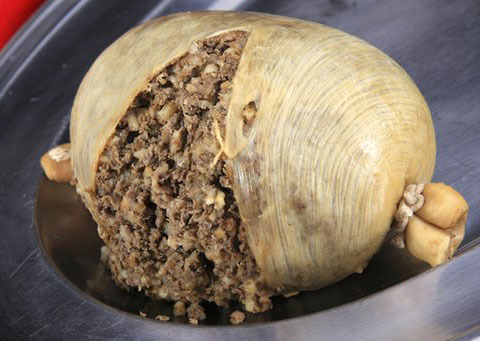 The Scots aren’t known for their wine consumption, and their food certainly wasn’t developed with wine in mind (only someone drunk on Scotch could have ever thought haggis was a reasonable thing to invent). However, wine is a versatile thing and I figured if I was up to the challenge of eating haggis, there must be a wine out there up to the challenge of pairing with it. Nothing says “appetizing” like ground organs bursting out of another organ.